What immediately draws your attention on the North course 9-holes are the wide, undulating fairways and surrounding terrain. These are classic links course characteristics, where positioning of the ball off the tee plays such a crucial part to the games strategy. In addition, it’s already clear that the subtle inclines and declines around the greens will pose a real challenge to the short game, with a variety of shots needed to master the North course 9-holes. 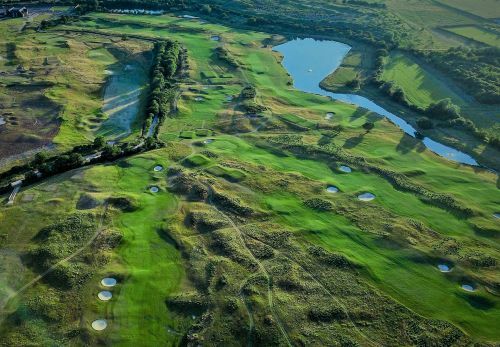 As well as recreating the natural landscaping characteristics of links golf, Ingrebourne Links Golf & Country Club has also adopted a number of traditional bunker construction techniques. The North course 9-holes has over 30 bunkers, many of which have the ‘revetted’ face so familiar to this style of course. The 7th hole is also home to the largest sleeper-walled bunker, bringing with it as much an eye-catching feature as a troublesome hazard that’s sure to catch many a stray shot come June. 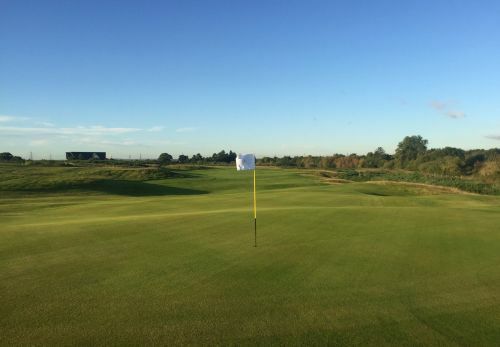 The greens have been constructed to USGA specifications, the very concept of which has a close relationship to the natural greens occupying links courses. 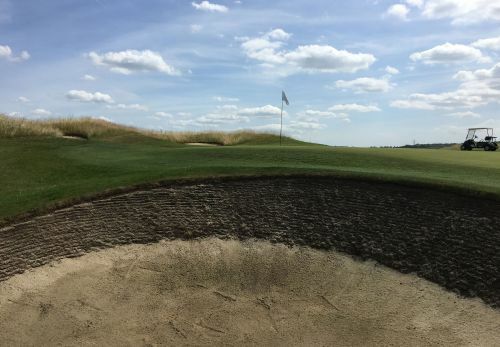 The sand subsoil allows for the free drainage of water and also creates the right environment to grow and maintain fine-leafed grasses that make for smooth, fast putting surfaces.